With the lovely sunshine some of us had in the UK yesterday, it even started to feel a little bit as if spring is on its way! 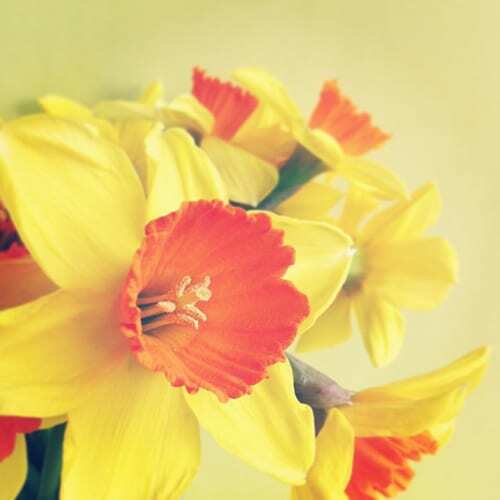 So what better way to start Flowerona Reflects today than with these gorgeous narcissi from Scented Narcissi in the Scilly Isles? They were a gift from the Garden Museum in London and are brightening up my office as I write. On Sunday afternoon, I met up with members of the London Bloggers Group. It’s a collection of people who in the past have taken one of Holly Becker from Decor8’s blogging courses. It was lovely to meet so many talented bloggers face-to-face and chat about our blogging experiences. Very much stay-at-home days…dealing with emails, writing blog posts, editing images, writing a feature for a magazine and starting work on a guest blog post for the Laura Ashley blog. What an absolutely a-m-a-z-i-n-g day Thursday was! I met up with my garden designer friend Lisa Cox and we went to the Garden Press Event at the Barbican in London. It was lovely to see all the exhibitor’s new products and hear about their plans for 2013. I had the pleasure of meeting Nicola Gammon, founder of Shoot, an award-winning website for gardeners. And it was lovely to meet UK grower Claire Austin, who specialises in peonies and bearded irises. Valerie Davidson and Margaret Marriott from the National Association of Flower Arrangement Societies (NAFAS) told me all about their exciting plans for their exhibit at this year’s RHS Chelsea Flower Show. And it was lovely to catch up with flower and garden photographer Clive Nichols and see Liz Anderson, Valerie McBride-Munro aka Auntie Planty, James Alexander Sinclair and Laetitia Maklouf. Last but not least, I had the opportunity to chat to the award-winning garden designer, Adam Frost and hear about his wonderful garden for Homebase at Chelsea this year. Then in the evening, I was delighted to be invited to a private view of the new Floriculture exhibition at the Garden Museum in London…which is definitely well worth a visit! I’ll be telling you more about the exhibition and my evening on Monday. 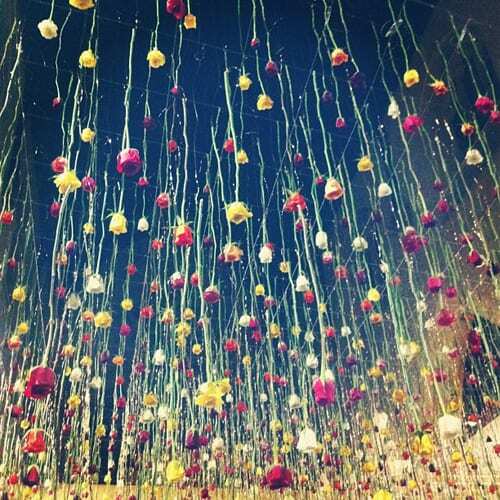 But in the meantime, here’s an image of the amazing flower installation there, created by Rebecca Louise Law. 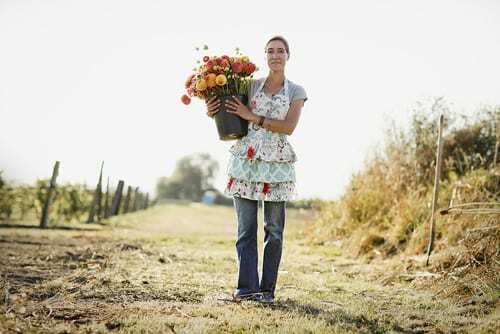 The most popular blog post this week was my ‘Interview with flower grower Erin Benzakein of Floret’. 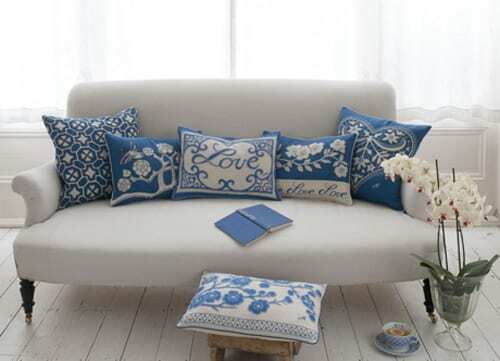 On the Heart Home blog, I featured the ‘China Blue Collection from Jan Constantine‘.